"Despite what you think, I know he loves you." "You keep telling me that, but we must have a different understanding of the word." "And what is your definition?" she asked. "I believe if you truly love someone, then the most important thing should be their happiness, not yours." 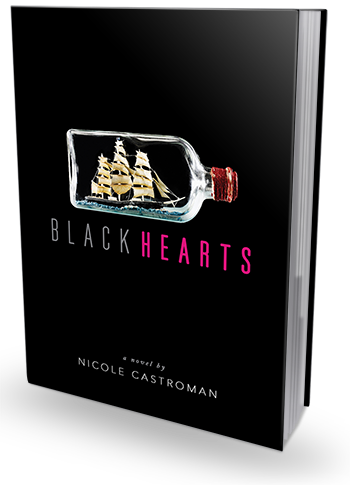 Blackhearts is, essentially, a romanticized, fictional re-imagining of Blackbeard's teenage years. 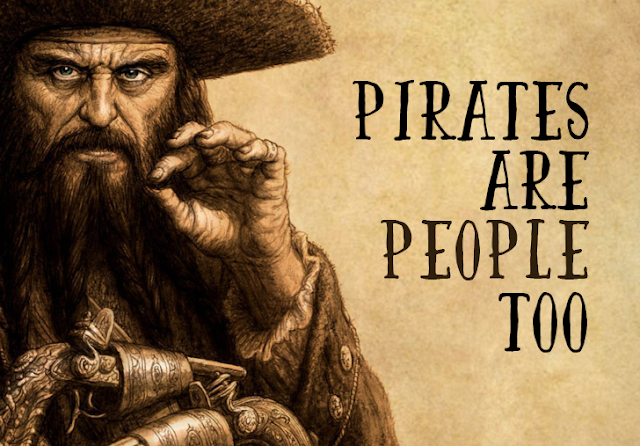 If you don't know who Blackbeard was then you've been living under a rock, he was a notorious English pirate who operated around the eastern coast of the American colonies and the West Indies. While he's known all around the world as the fearsome and unstoppable pirate, very little is known about his origin and early life. Blackhearts is quite an interesting attempt at imagining Blackbeard's pre-pirate existence. While the synopsis makes it sound like an action-packed adventure filled with forbidden romance and rule-breaking, in reality the tone of the book is more historical fiction than sea adventures and swashbuckling. For the most part, the action takes place in England, within the premises of Drummond's estate, and it revolves more around Anne Barrett than Teach himself. Nicole Castroman herself likes to describe her book as a pre-pirate novel - a story of what made Teach decide to be a pirate - and that's pretty much what it is. It's a fascinating, illuminating and very well-written story for sure, and I thoroughly enjoyed. We meet Teach shortly after he returns home from his one-year-long voyage across the seas. He's engaged and soon to be married, though he doesn't love his fiance and would much rather spend his life at sea. His heart longs for the vast oceans and exotic lands, and he has no interest in being a pawn in his father's business arrangements. When he arrives home, he finds that his father has hired a new maid - a girl of dark skin and wild temperament, who instantly sparks his interest. Anne is hired by Drummond after her mother passes away and her half-brother throws her out on the streets. She doesn't have anyone else in England and all she wants is to return to India and hopefully re-connect with her distant relatives. I must say, I really enjoyed the romance. It was a reluctant, slow-burning romance - as far from insta-love as it gets. In fact, Teach and Anne don't even like each other at first. Their first encounter is an utter disaster and the circumstances in which they meet and interact with one another are difficult to say the least. After all, Teach is engaged and Anne is just a common a maid (or at least that is her role in Drummond's household). It seems like they're worlds apart, and yet their souls are drawn to one another, for they're both desperate to be free and away from England. They fall in love slowly, they even try to fight it and then deny it, but their love is inevitable and untamable. I'm also quite impressed with the amount of historical detail Nicole Castroman included in her book. She obviously did a lot of research and was passionate about the topics. And considering she didn't have a whole lot to go on (in regards of Teach's origin and youth), she put together a perfectly plausible scenario, filled with little nuances and historically accurate bits of information that really make this story a delicious treat for any history buff. I particularly like the idea of Anne being the inspiration for Teach naming his pirate ship Queen Anne's Revenge. I understand the part about Queen Anne already, and really hope there will be a sequel that will explain the "revenge" part as well. I am giddy with anticipation!